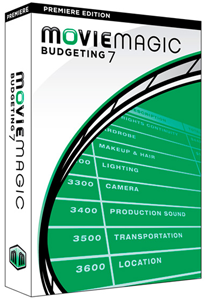 Found one file extension association related to Movie Magic Budgeting and 1 file format developed specifically for use with Movie Magic Budgeting. Movie Magic Budgeting has been the industry standard for the past decade. Used by producers, production managers, and production accountants who want to easily and accurately create documentary, film, music video, and television budgets, it has changed the way industry estimators work. Movie Magic is organized in a simple three level hierarchy for easy navigation and creation of budgets. With frequently imitated features such as Globals, Fringes, Libraries, and the most common industry budget templates built in, Movie Magic Budgeting has made the process of budgeting your production a snap. If you need more information please contact the developers of Movie Magic Budgeting (Entertainment Partners), or check out their product website.